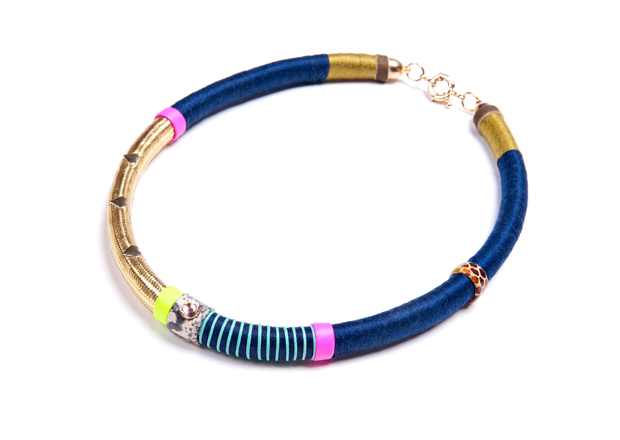 Kate Sledzinska's jewelry may look like a sweet looking accessories label. Literally that is. 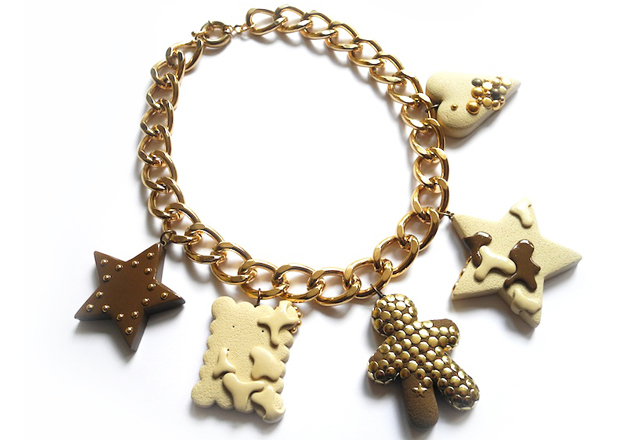 She's crafted colorful necklaces, bracelets and earrings with biscuits, nuts, donuts and truffles to make up her line Chocokate. But, it goes beyond those remarkably true-to-life confections. Each style comes with a story that's personal to her and one that most women can relate to at one time in her life. Think fame, success and breakups. Told through the eyes of a gingerbread man, her main character represents the fun and cheerful aesthetic she's building. With a degree in Fashion and Set Design at Academy of Fine Arts in Poznan, Poland and Fashion Merchandising at FIT, she's keen on getting her work out internationally. Kate travels to New York each year to source materials and then works to sculpt and craft everything herself. For her, it's the city with the biggest source of inspiration, a place to get the best supplies and meet people with good energy and a warm spirit. Close to her heart is the Lucky Star necklace because it's a reminder that reaching one's goals is possible if you're not afraid to put yourself out there. Right now, she's also fallen for her Manhattan Safari collection which represents the adventures that are special to only this city. Learn more about this emerging designer label at Chocokate.